Thapelo Makutle recently won a gay pageant in South Africa. This past weekend he was beheaded. A 23-year-old gay man in Kuruman, in the Northern Cape, was beheaded this past weekend following an argument about his sexuality and gender appearance. His two attackers are believed to have followed him to the room where he lived and on Saturday cut his throat, decapitating him. They left his body under a blanket as though he were sleeping. 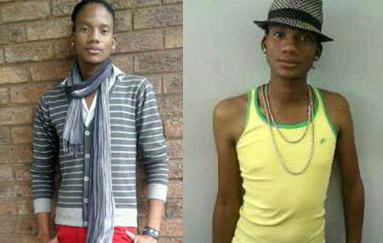 Makutle, who identified as both gay and transgender, was a volunteer for Legbo Northern Cape. He recently participated in the Kimberley Out In Africa Gay and Lesbian Festival, was known as a beauty queen named Queen Bling and was recently crowned Miss Gay Kuruman. He said that no arrests have yet been made in connection with the murder. He expressed his frustration with the lack of support for LGBT people in the Northern Cape and noted that hate crimes are on the rise in the province.